As professional auto appraisers we are called upon to give 'Expert Witness' testimony as to the value of an automobile or a collection of automobiles. The most common scenario for this to take place might be a divorce involving the values of several high profile vehicles or even a vehicle collection. At Auto Appraisal Network we pride ourselves on our automotive knowledge and our expertise. Each of our territory appraisers has their own specialize knowledge of custom and collectible cars and will provide expert testimony on your behalf, arriving fully prepared to professionally represent our client's best interest. Over the years we have provided expert witness testimony for all kinds of cars, boats, motorcycles, exotics and hot rods for many prominent law firms whose clients were involved with divorces, estate disputes, lemon law cases, purchase disagreements, and fraud. Expert witness fees are a standard $250.00 per hour, with a four hour minimum. Before hiring any expert witness to represent you, we recommend a criminal background check for your own protection. Make sure your appraiser is not a convicted felon who has committed Insurance Fraud or Auto Theft! Auto Appraisal Network works with professional automotive consultants across the country. Periodically our customers need more than an auto appraisal, but also consultation and advice in court cases. We recommend these individuals for you extended legal matters. Automotive Consulting Professionals (ACP) is comprised of senior automotive professionals with over eight decades of experience. ACP's goal is to serve the public and legal community with professional automotive legal services. Court testimony and mediation services are required in many situations and venues. ACP's primary New York location places them at the heart of the east coast automotive community. Acknowledged as an automotive expert witness within the legal, loan and insurance industry and among the professional associations as well as Local, State and Federal Government for his knowledge and expertise. 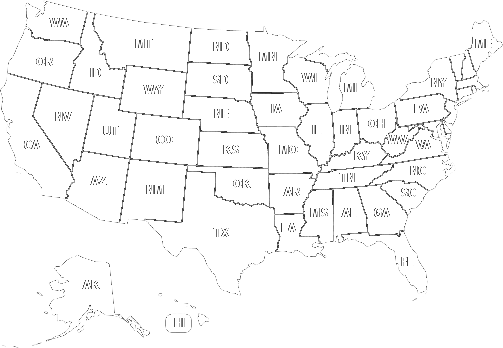 State and Federal agencies throughout the Southern United States utilize his services for their automotive court cases.